Surprise your loved one with this lovely bouquet! 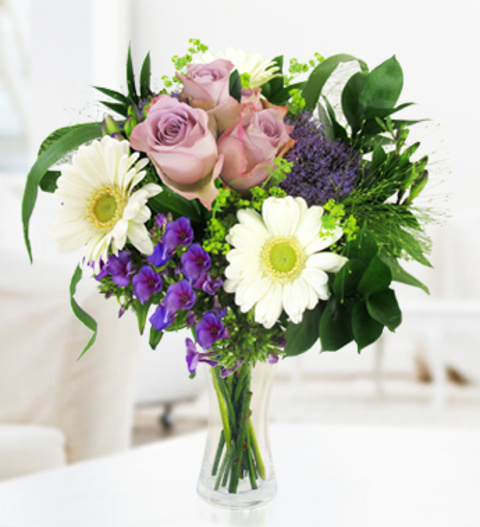 Sorbet roses, blue Iris and white daisies complement each other to form a harmonious ensemble perfect for any occasion. This arangemnet is available for next day delivery.